There have been many warnings about the negative impact of sugar consumption on our health; however, recent research has uncovered another reason we should all fight that craving for sweets. Medical research suggests that sugar is toxic and assists in cancer development. One Harvard professor has gone as far as to state that if we limit our sugar intake we will “decrease” our chances of cancer. Doctor Lewis Cantley is head of Beth Israel Cancer Centre and has conducted extensive studies on the effects of sugar on the body. His findings have been the source of much discussion in the medical community and in the media. 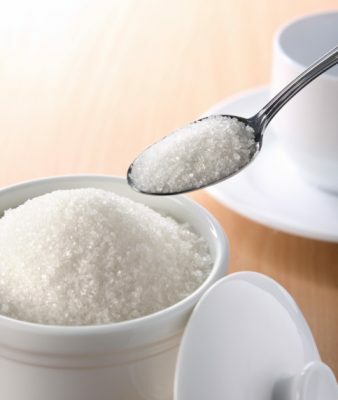 Cantley’s research has confirmed what other scientists have suspected…that sugar can induce cancer. Sugar causes the hormone insulin to increase and it is believed that the insulin acts as a trigger to promote some types of cancer. Studies indicate that one-third of cancers, including common types of cancers like breast and colon have insulin receptors. Insulin binds to these receptors and signals them to consume glucose. The cells in our body need glucose in order to survive, but it appears as if cancer cells are also using it to grow. Essentially what is happening is that instead of glucose going to the muscles of the body, it is going to the tumors to help them grow. Researchers are trying to develop medications to cut-off the glucose supply to cancer cells to keep the tumors from growing; however this type of advancement could be several years away. In the meantime, doctors like Cantley are suggesting we stay away from sugar to lower our cancer risk. Americans consume one-hundred and 30 pounds of fructose per person, per-year. That works out to 1/3 of a pound per-day. Years ago we got our fructose from fruits that were high in fiber. The fiber would help slow the absorption of the fructose. Today there are countless options on the grocery story shelves when it comes to fructose and other types of sugar filled products. Sugar based items can be obvious, but the sweet substance can also be hidden in a lot of processed foods. Nutritionists point out that limited intake of sugar and a diet high in antioxidants is achievable for many people. Vitamin C and E, Beta-Carotene and Zinc are high in antioxidants. They are often recommended by nutritionists and dieticians for supporting the immune system. Sugar may not be acting alone as a cancer development factor. Some previous studies suggest that cancer cells like sugar because they make use of a protein called Akt which promotes glucose metabolism. With normal cells, growth factors control metabolism and cell survival. Eliminating these factors results in loss of glucose metabolism and it leads to cell death. With cancer cells, glucose metabolism is maintained and cell death does not occur. Cancer risk depends on a number of factors, including lifestyle. The Sugar/Cancer studies bring diet to the forefront once again and give us yet another reason to take a serious look at how much sugar we eat. From a strictly dietary perspective the World Health Organization suggests that no more than 10 per cent of our total daily calories come from added sugar. Heart specialists suggest no more than 100 calories per-day. More research is needed before Cancer experts can put a cap on sugar amounts; however, medical professionals like Dr. Lewis Cantley recommend avoiding sugar whenever you can.